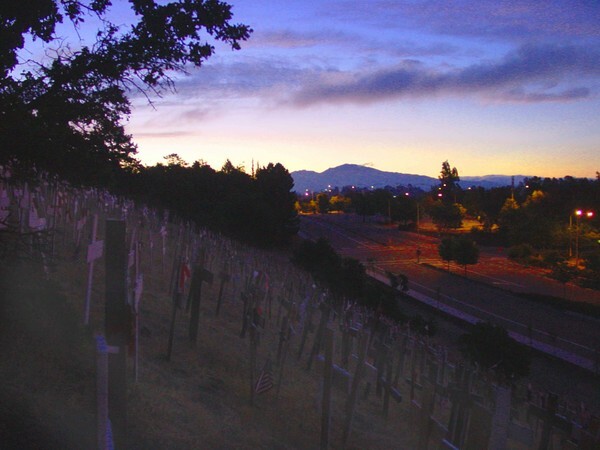 The crosses at dawn with Mt. Diablo in the distance. A Spanish explorer named the mountain The Devil's Mountain as the two peaks resembled the Devil's horns.